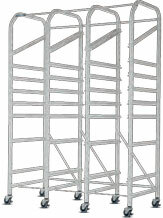 Frame Uprights - Frame uprights are made from one-piece 1 ¼ x 1 ¼ metal tubing for strength. 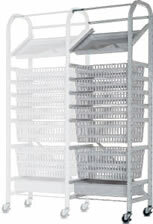 Powder Coated Frame Uprights - Frame uprights are powder coated with Epoxy to prevent corrosion, flaking or scraping. 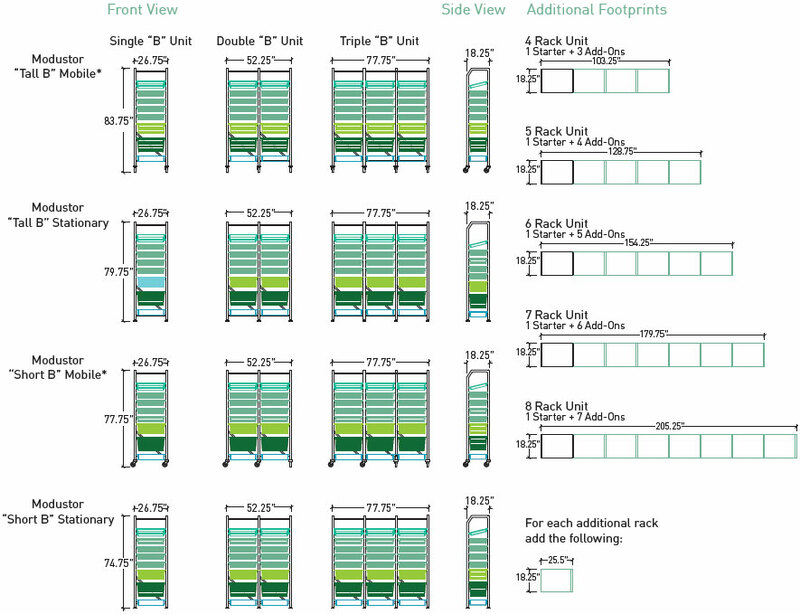 Front and Back Supported Frame Uprights - Frame uprights have two welded front to back supports for added stability. 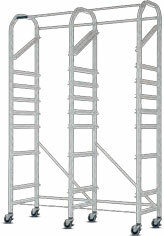 Stabilizer - Metal stabilizer cross members are made from 18 gauge metal to ensure stability and added strength. 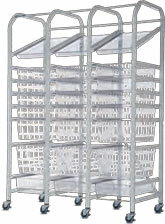 Casters - All casters are 3” swivel polyurethane braking caster. 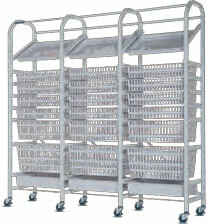 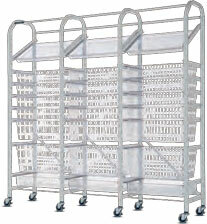 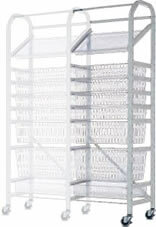 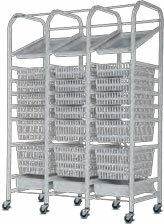 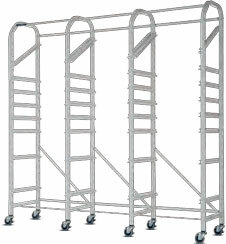 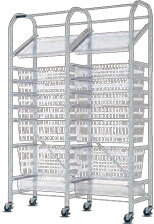 Rails - Rails can be adjusted every 2 ½” on center (no tools required) allowing baskets to be adjusted in seconds flat. 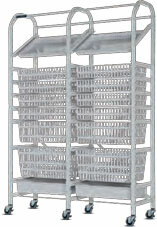 Built in Stopper - Rails have a “Built-in” stopper to prevent the basket extending through the rear of the frame. 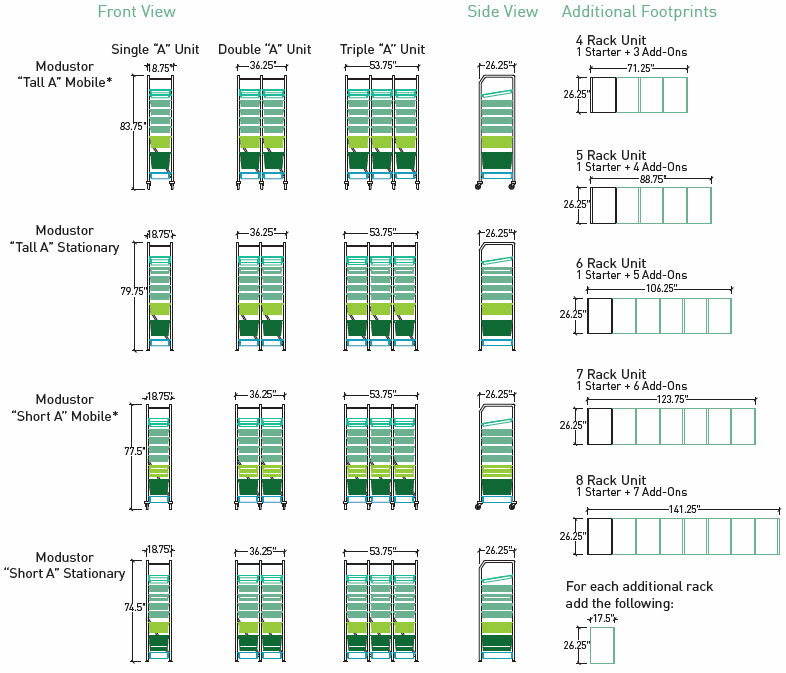 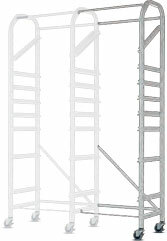 Height - Overall height of the frame is 77 ½” allowing them to fit through standard U.S. doors.